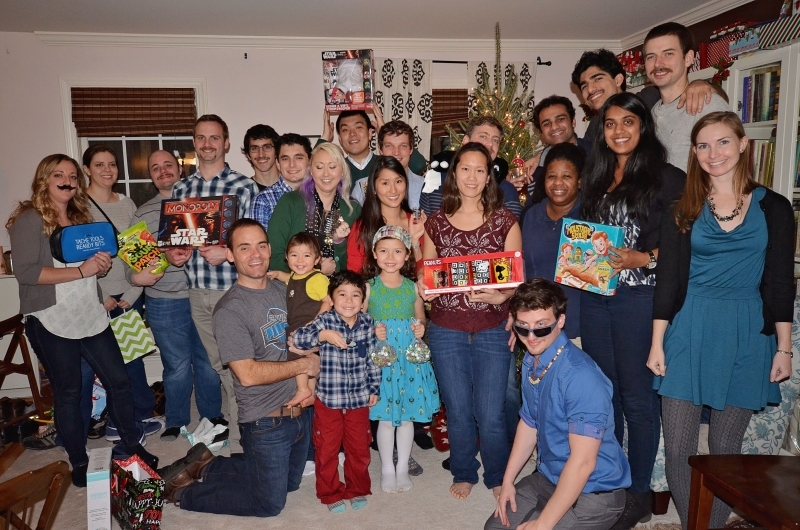 December 2015 - Lab holiday party. 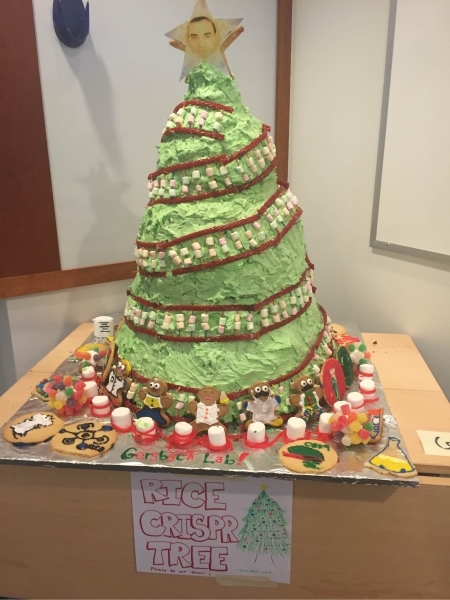 December 2015 - Duke GCB Dessert Competition - We win the grand prize with the Rice CRISPR Tree! August 2015 - Tyler successfully defends his thesis - Congrats Dr. Gibson! 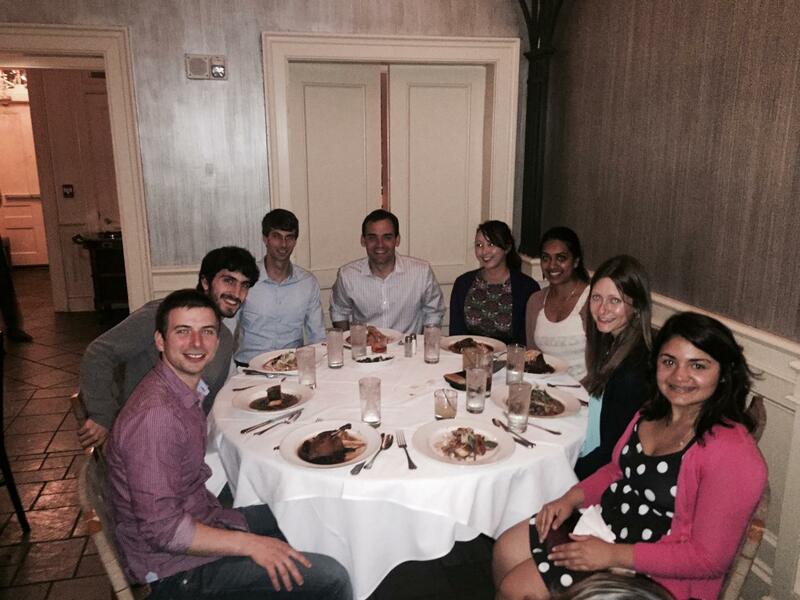 May 2015 - The Gersbach lab at the Annual Meeting of the American Society of Gene and Cell Therapy in New Orleans. 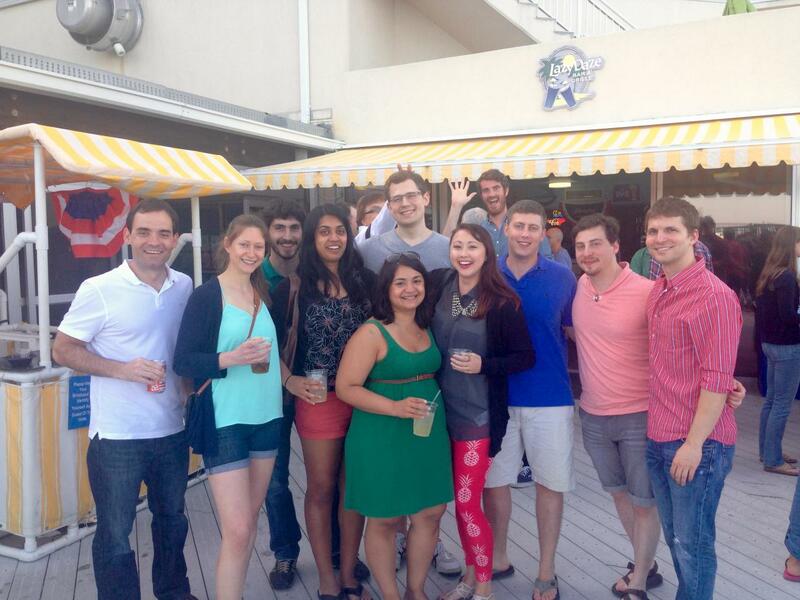 May 2015 - Duke BME Student Retreat at Wrightsville Beach. 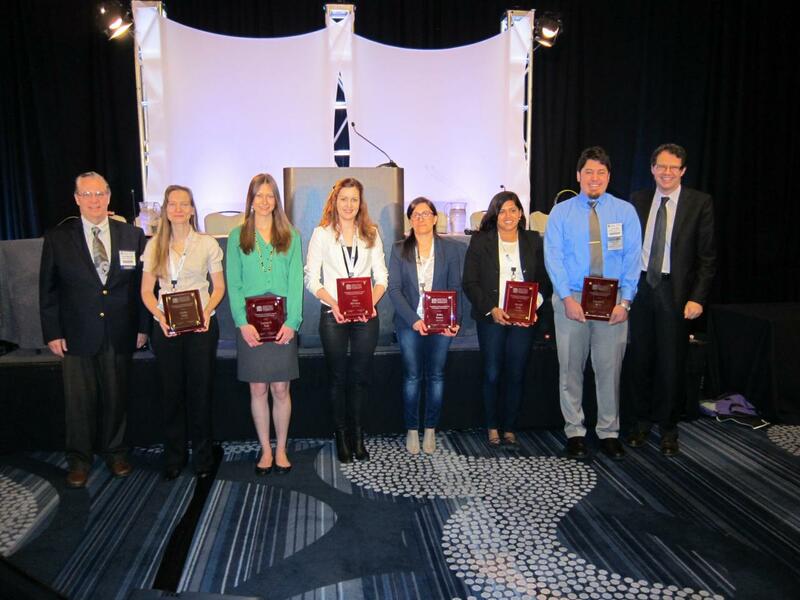 May 2015 - Lauren wins an Exellence in Research Award at the Annual Meeting of the American Society of Gene and Cell Therapy in New Orleans. 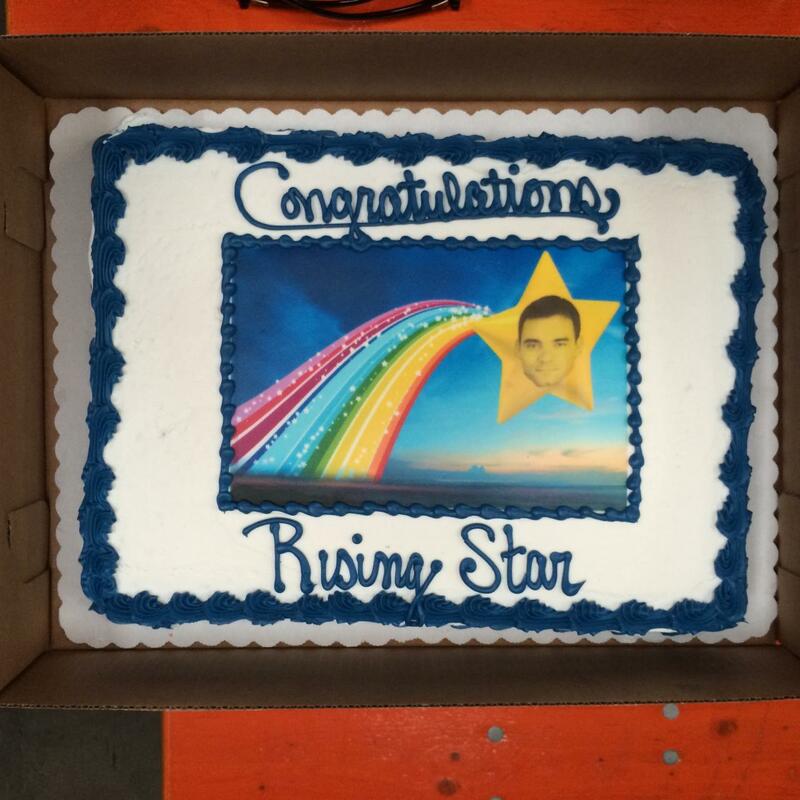 April 2015 - Party to celebrate Charlie's successful tenure decision. March 2015 - Ami successfully defends her PhD thesis - congrats Dr. Kabadi! 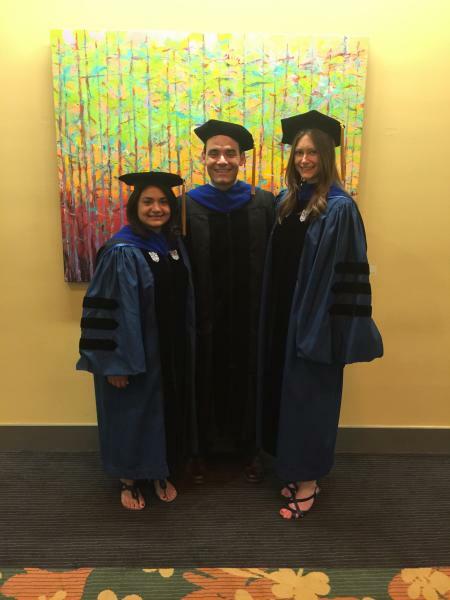 May 2015 - Ami, Lauren and Charlie at the BME PhD hooding ceremony.